The surveyor will provide you with advice on the seriousness of any defects and the urgency of any repairs. As such, people often use building surveys to help them come to a well informed final decision on the purchasing of a property. At Streatham Surveyors, we offer a variety of different surveys so that the reports are relevant and personalised to you.  Miles Strong MRICS RegVal is Director of Streatham Right Surveyors and your local surveyor. He is a self-employed, fully independent building surveyor and has been a Member of RICS for fourteen years now. Miles has had nearly forty years of experience in a variety of different sectors of building surveying, so knows just about everything that there is to know about buildings. He also has comprehensive knowledge of Streatham and the Greater London area, so can combine his knowledge of buildings with his familiarity of Streatham to make a personalised and accurate report on your property. Is Streatham too far away? It is highly beneficial having a local surveyor, like Miles Strong, perform the Single Fault Assessment, as he has intimate knowledge of the area and is able to tell you whether or not the fault is down to your local environment and if others in your area have had similar issues. A property valuation’s primary purpose is to give our clients advice on the market value of their property and look for any serious issues that could affect that value. Miles’s comprehensive knowledge of the Streatham area really comes handy when doing valuations.